There are many forms of online roulette these days. All are popular among casino patrons, but one is standing out from the rest. Multiplayer Roulette is taking the internet by storm and is being one of the more popular roulette games around. French roulette is similar to most roulette games people are used to playing. There is a table, a ball and a wheel where the players place their bets on what number the ball will land on and some other interesting choices. The main difference with French Roulette is the betting table. The betting is all in French, hence the name French Roulette. Also, there is no double zero like its American counterpart. This is a good change as it gives slightly better odds to the player making it more likely you will win. Multiplayer Roulette offers players a unique opportunity to play and chat with other players while they play the game. 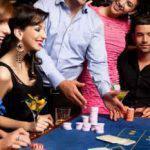 This puts the social atmosphere of being in a real casino right in your home. Even casinos can’t offer you a comfy chair and the ability to play online roulette while in your pajamas. This makes playing Multiplayer Roulette one of the best times you could have. Not many online casinos offer multiplayer French roulette at this time. 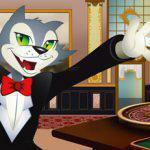 Of the few that do Cool Cat Casino is one of the best. 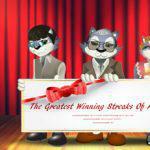 Their no nonsense approach to online gambling is refreshing. 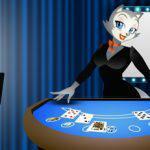 You can try it out for free in the free download casino. Learn the rules and master your skills before raking in the real money. You can still chat and make friends with the free version as well. It is important to notice that the game is not available on the web play version just yet. 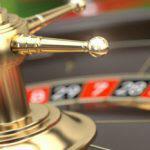 If you’re completely new to roulette and wish to learn the rules and nuances of the game, you can read everything you need to know about playing roulette just by clicking here. If you’ve already played Multiplayer Roulette and wish to share your experience, please a comment below to let everyone know what a great game it is. By now you’re probably itching to get started. Stop reading this article, and invite your friends to join you in a game of Multiplayer Roulette.